Click here to get Mavericks ! The tenth operating system from Apple brings some amazing technological enhancements which actually helps they way the hardware works on both new Macs and your old existing Mac even if it’s 6 years old …and it’s FREE. If we take a look at these you will be impressed at what Mavericks can do and how much it is to do it. Firstly, Mavericks is more power efficient meaning that it requires less processing power, GPU power and therefore will ultimately draw less power from your battery. Typically, in normal use on a 13” Macbook Pro you can now gain an extra 1 hour battery use just by upgrading to Mavericks. Memory- with more and more applications being opened on your desktop whether a Macbook or iMac within Mavericks they have introduced Compressed Memory, so now your RAM gives you upto 50% more space by downloading Mavericks. Your normal 4 GB is now compressed down so it has the same performance as 6GB. On all the Macs from Hardsoft in the last 3 years we have had a base spec of 8 GB ram, this under Mavericks is equivalent to over 12GB of ram. Incredible ! In the final enhancement they have developed a way where the OS actually controls the usage of the Graphics card (GPU). Meaning if you are undertaking a task that needs lots of memory but is not graphically intense then Mavericks can assign just a bit to the GPU, literally it could be 30MB. However a graphic intense presentation or game then Mavericks will give the GPU sub-system everything available , such as 1 or 2GB. This not only helps preserve the battery but intelligently gives you the right processing power in the right place. There are endless new features for the user such as Safari Shared Links, Notifications and Tags which give you more reasons to upgrade to Mavericks however solely for the technological enhancements alone you must download the upgrade TODAY. With Windows Upgrades coming in at £ 100 + Apple have brought you all this pioneering technology for NOTHING. That’s right the upgrade to Mavericks is absolutely free. “ Free is good ”. THERE ARE SOME DOWNSIDES for some users ... early feedback from our customers has been good but with some significant issues for users of Quark Xpress and some older Adobe. And if you want to go back to Mountain Lion from Mavericks you cant – so say Apple ! If you find yourself in this scenario we can help though but your Mac will have to come into our Workshop and there maybe a small charge but loads of hassle. Even if you have an old machine or have bypassed some recent upgrades you can upgrade to Mavericks in a single step upgrade from Lion, and Snow Leopard. 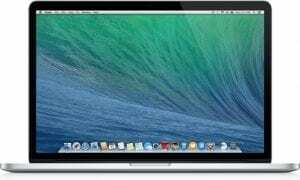 Any Mac from 2007 onwards includng Air, mini, Macbook, Mac Pro and iMac can benefit from Mavericks now, and all for free. For any further information on Mavericks or a Flexi-Lease quotation on a brand new Apple Mac, please contact us on 020 7111 1643 or email sales@hardsoft.co.uk. 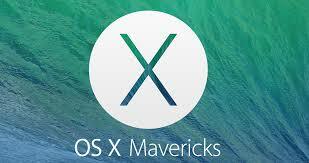 If you are an existing customer and have issues installing or updating to mavericks then please contact us.